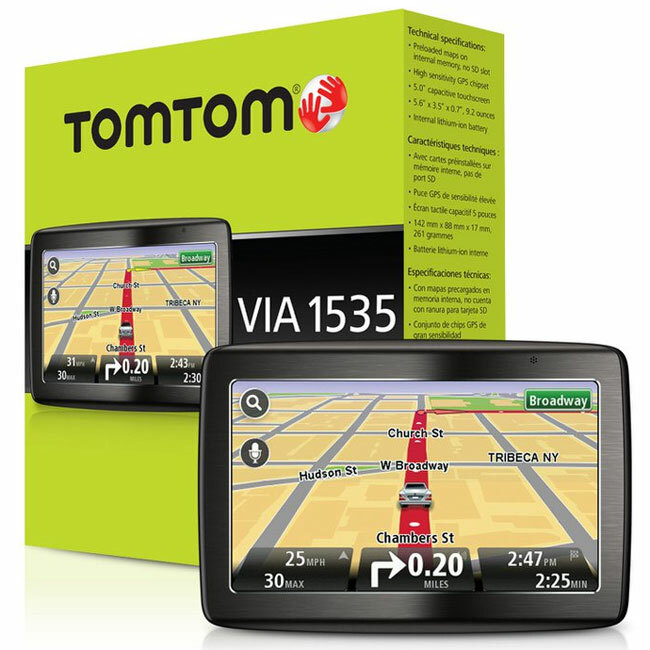 TomTom has been making some of the better GPS devices for a while now and continues to do so. The company has a line of offerings from cheap to high-end and the company has extended its range with a couple new offerings. The new devices include the VIA 1405 and 1435 as well as the VIA 1505 and 1535. The main difference between the 14xx and 15xx series is that the 14xx have 5.3″ screens and the 15xx series has a 5″ screen. The difference between the xx05 and xx35 version is the color of the case with the 35’s being aluminum and the others black. The 1435 and 1535 units have Bluetooth and Voice Control. Voice Control allows the driver to tell the device the destination they are going to. Common features for all of the new units include an integrated mount, sharp graphics, touchscreens, optional lifetime maps and traffic, spoken street names, and advanced lane guidance. The range is available now and starts at $169.